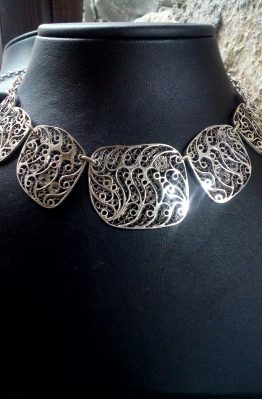 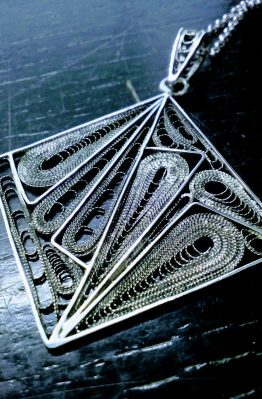 The technique of filigree was introduced in the Macedonian territory through Byzantium where it existed since the 7th century. 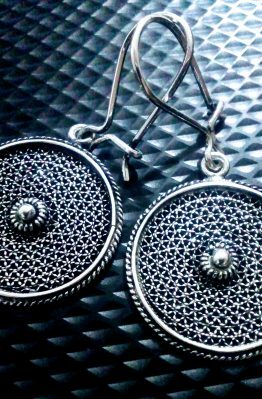 Throughout the 16th-century significant jewelry centers existed through Macedonia such as those in Skopje. 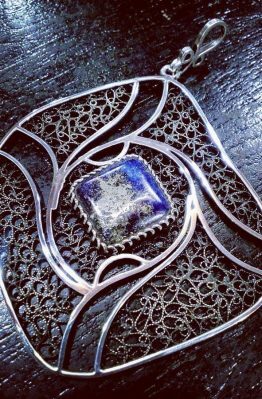 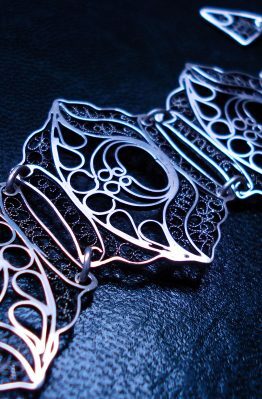 In the elaboration of the filigree the role of the artisan – master has always been most important. 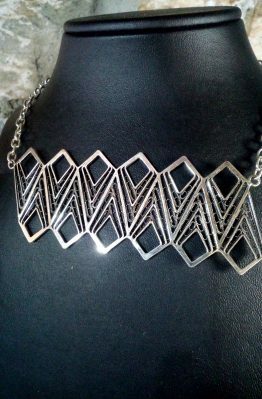 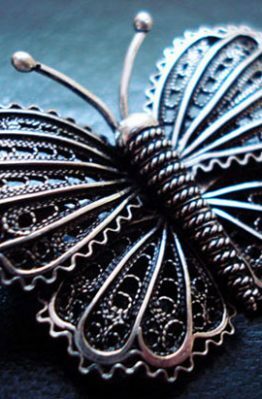 The aesthetics and the functionality of the objects made in filigree depended on the individuality of the artisan- master, his inventiveness, precision and creativity. 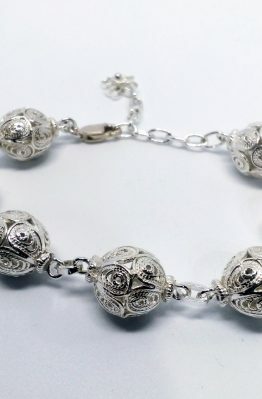 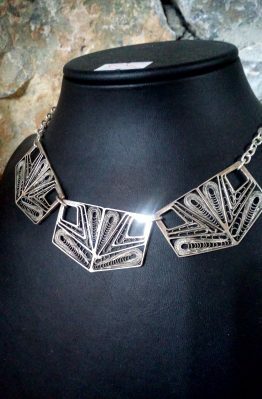 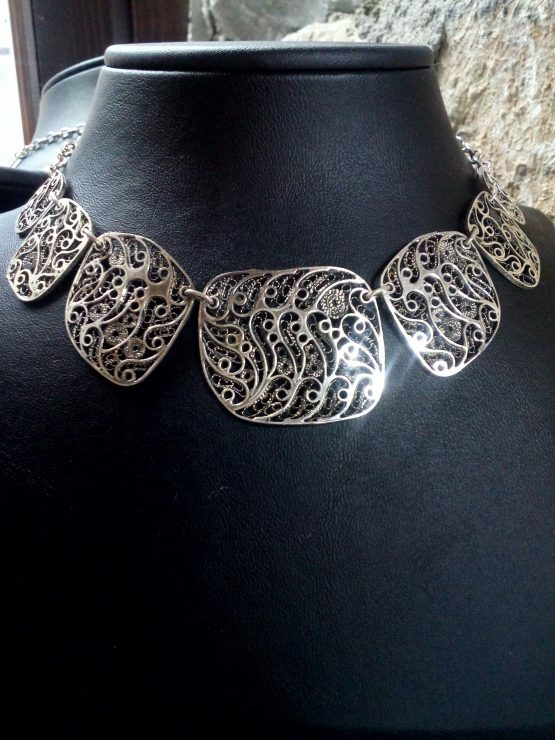 The Macedonian filigree is considered authentic, although it also possesses Oriental and Western segments.